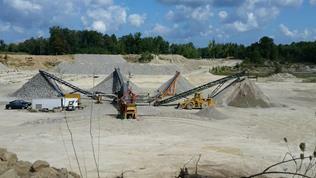 Keeney Sand & Stone, Inc. is a family-owned and operated stone quarry serving Lake and Geauga Counties for over 30 years. 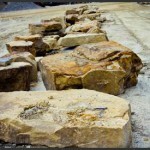 Over the past 30 years, materials from Keeney Sand & Stone have been used in countless commercial job sites, parking lots, driveways, backfills, and landscape projects throughout Lake and Geauga Counties. 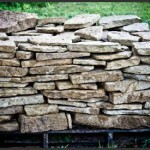 Chances are that your home might sit on a foundation of our sand, you may have driven or parked your car on our material, or you may have seen our slabs or boulders in a beautiful landscape or water feature. Our company works hard to meet the diverse needs of each and every one of our customers. At Keeney’s you can trust us to consistently provide quality material at an affordable price and to treat you like family! 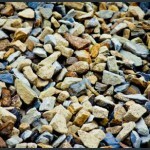 Our stone will serve as a durable base for driveways and parking lots. Our sand is highly-compactible, a perfect material choice for foundation backfill jobs. 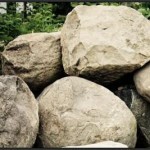 We have a large variety of stone slabs and granite boulders for use in landscaping, retaining walls, or waterfall features. 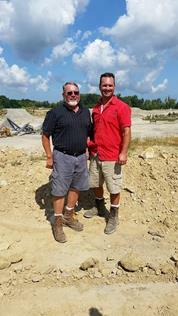 © Copyright 2014 · Keeney Sand & Stone, Inc.